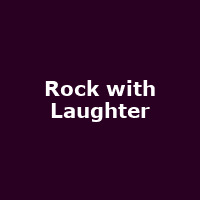 The Rock with Laughter 2009 event at London's Wembley Arena has been cancelled. The show - an off-shoot of the Birmingham event - was to have featured Al Murray, Jasper Carrott, Lenny Henry, Jo Brand, Ed Byrne, Sugababes, Peter Andre, Bananarama, Bjorn Again and Rocket Man at the Wembley Arena on 20th December, but has been cancelled due to "production issues" whatever that means. Ticket-holders can obtain a refund from their point of purchase. The Birmingham shows are unaffected and will be staged at the LG Arena on Friday 18th and Saturday 19th December, featuring: Lenny Henry, Alan Carr, Sugababes, Lee Mack, Dara O'Briain, The Blockheads with Phil Jupitus, Bjorn Again, Shappi Khorsandi and Rocket Man, with Alesha Dixon (Friday) and Peter Andre (Saturday) as special guests. Some tickets are available for both dates, costing £32.50 + booking fee. Check the "Tickets" links below for availability.